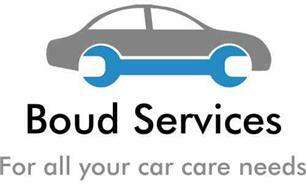 Boud Services - Garage/Vehicle Services based in Lower Kingswood, Surrey. Invoice history based on 262 reviews. Welcome to Boud Services, your one stop shop for all of your care needs. Boud services has been running from our garage in Lower Kingswood since 2010 and has built up quite a reputation as can be seen here and also on our Facebook site. Please check out our feedback and please email us for a quote or with any issues you may have with your vehicle, please remember to include the registration number of your car for an accurate quote. We can collect your car from home or work to avoid causing disruption to your day.